The PI’s Perspective: What If Voyager Had Explored Pluto? As I mentioned in my previous PI Perspective, New Horizons crosses the orbit of Neptune, the outermost planet explored by the Voyager mission, late this August. Voyager's flyby of Neptune was in August 1989, 25 years ago! Across flights launched in 1977 and spanning the entirety of the 1980s, Voyagers 1 and 2 performed the historic, first detailed reconnaissance of our solar system’s four giant planets (Jupiter, Saturn, Neptune, Uranus). The essentially identical Voyagers were launched with a core mission to explore the Jupiter and Saturn systems, and each spacecraft carried a powerful and diverse scientific instrument suite. 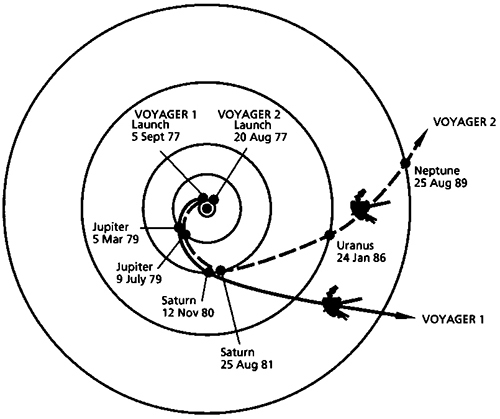 After Saturn, Voyager 2 was tasked with reconnoitering Uranus and Neptune during an extended mission. Although Pluto’s orbital position relative to Neptune made it impossible for Voyager 2 to travel to it from Neptune, Voyager 1 actually could have reached Pluto after its Saturn flyby, had it been targeted to do so. In fact, NASA and the Voyager project actually considered this option, but eliminated it in 1980 – going instead with the very exiting but lower-risk opportunity to investigate Saturn’s large, scientifically enticing, cloud-enshrouded and liquid-bearing moon Titan. But if Voyager 1 had been sent to Pluto, it would have arrived in the spring of 1986, just after Voyager 2’s exploration of Uranus that January. As New Horizons approaches Pluto in 2015, it’s fun to think what we might have found almost 30 years ago had Voyager 1 - rather than New Horizons - been first to Pluto. One big difference then was how much less we knew about Pluto and its context in our solar system. After all, it was 1986: Pluto’s atmosphere wasn’t discovered until 1988, and Pluto’s surface wasn’t imaged until 1994, when the Hubble Space Telescope (itself launched in 1990) revealed its patchy surface and polar caps. Even more importantly, Pluto’s context in the solar system wasn’t appreciated back in 1986, six years before the discovery of the Kuiper Belt. In fact, in 1986, we didn’t even know that dwarf planets were a class of planet and that Pluto was simply the largest of this cohort of rocky, ice-covered worlds orbiting beyond Neptune. At the time we were still three years away from Voyager’s flight past Triton - Neptune’s largest moon and Pluto’s best analog in the solar system - so we would not have known much about what to expect. And although Pluto’s size, and the size of its Texas-sized satellite Charon, were both approximately known in 1986, the two main constituents of Pluto’s surface ices-nitrogen and carbon monoxide and atmosphere-had not yet been discovered. Nor was there a hint of Pluto’s system of at least four small moons, later discovered from 2005 to 2012. All in all, a 1986 Voyager flyby of the Pluto system would have been a blind venture to an unknown world. Voyager 1 carried a broad battery of cameras, spectrometers, plasma experiments, and even a sensitive magnetometer that it could have brought to bear on the exploration of Pluto. Because Pluto was almost exactly the same distance from the Sun in 1986 as Neptune was for the Voyager 2 flyby in 1989, it’s clear that the instruments aboard Voyager 1 would have worked well at Pluto. And because Voyager 1 is still working today, we know the spacecraft would likely have made the journey to Pluto successfully. Although Voyager 1 would have been able to map Pluto and Charon well with its cameras, and detect Pluto’s atmosphere and study the atmosphere’s basic properties, the Voyager science team would not have known to plan observations of the small moons they would have discovered on close approach, nor would they have been able to explore Pluto nearly as thoroughly as the payload aboard New Horizons will. That’s because the onward march of technology between the design of Voyager’s payload of sensors in the early 1970s, and our payload’s design in the early 2000s, produced a revolution in capabilities every bit as fundamental as the difference between computers of the 1970s and computers of the 2000s. For example, the New Horizons payload will map surface composition at high resolution across essentially all of the close-approach hemispheres of Pluto and Charon. Voyager 1 carried no such capability. 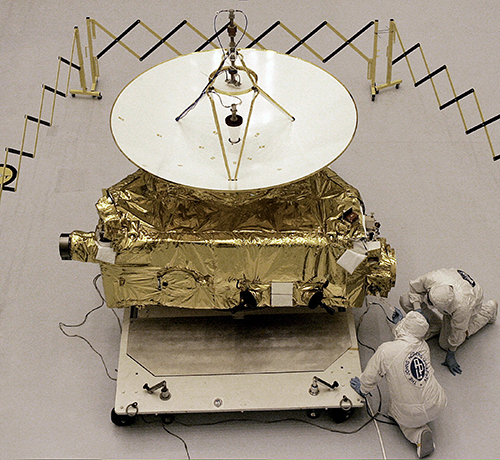 Similarly, whereas Voyager’s ultraviolet spectrometer contained only two pixels, the Alice ultraviolet spectrometer on New Horizons contains more than 32,000 pixels, making it a much more efficient device to survey the Pluto system. Voyager 1 would have brought a magnetometer and a more diverse array of space plasma instruments to bear on Pluto than we will. But it’s more important that New Horizons has much more advanced mapping cameras and a far more capable radio science experiment to determine atmospheric pressure and temperature. We also carry a dust impact detector—Voyager did not have such a device to study Pluto’s environment. One key technical advantage stemming from Voyager’s larger antenna and higher power budget was the ability to send data back at much faster rates-about 10 times faster than New Horizons. 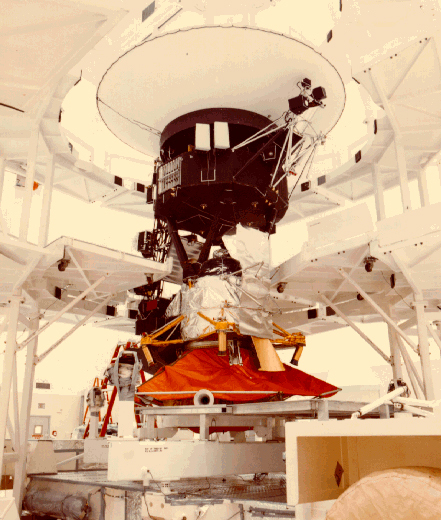 Voyager also had a scan platform that allowed its remote sensing instruments to be trained on their targets even while the spacecraft was transmitting data to Earth- a high-cost technology that the New Horizons team chose to forego. And although Voyager would have been able to map Pluto's entire surface in 1986, since that surface was then oriented equator-on to the Sun (unlike the high-latitude illumination to be seen in 2015, leaving much of the winter hemisphere in darkness), Voyager’s memory storage was much, much smaller, so the resulting dataset would have been correspondingly less. One could debate this kind of detailed comparison at length, but my overall conclusion is this: Had Voyager 1 been sent to Pluto in 1986, rather than New Horizons arriving in 2015, it would have made many spectacular discoveries, but with less data depth and diversity than New Horizons is likely to achieve. And, not knowing of the Kuiper Belt in 1986, Voyager would then have unknowingly gone on (as it actually did), sailing across the belt without even attempting flybys of primordial Kuiper Belt Objects, as New Horizons will. That said, consider how amazing it would have been in 1986 to rapidly discover, in the few weeks prior to a Voyager closest approach, that Pluto has an atmosphere; that Pluto has its own retinue of small moons, much like a giant planet; and that the much more volatile snows of nitrogen and carbon monoxide dominate its surface composition-rather than the methane snow as was then known. But make no mistake: Both spacecraft are extraordinary. And both have their own places in the history of humankind’s first exploration of the planets. Both projects are staffed by outstanding teams of engineers and scientists; and both projects are testaments to the leadership of the United States in exploring our solar system for all humankind. Hail Voyager! Hail New Horizons! Both missions are incredible. But most incredible of all, I think, will be Pluto and its diverse system of satellites themselves. They are the real stars in this story, regardless of when it is told. Pluto and its moons are billions of years old, but completely new in our consciousness as real places, with real personalities and histories of their own. The decision long ago by NASA and the Voyager project to forgo Pluto opened up a possibility for us now to once again experience the thrill and adrenaline rush of first-time planetary exploration, and to offer it to a new generation of young people not born or very much aware of things in 1986. We on the New Horizons team look forward to bringing the excitement, the adventure, and the pride of frontier reconnaissance to this new generation. With that, I’ll close by saying thanks for following our journey across the deep ocean of space, to explore a new planet, its moons, and a truly new frontier. Until I write again, I hope you’ll keep exploring-just as we do!